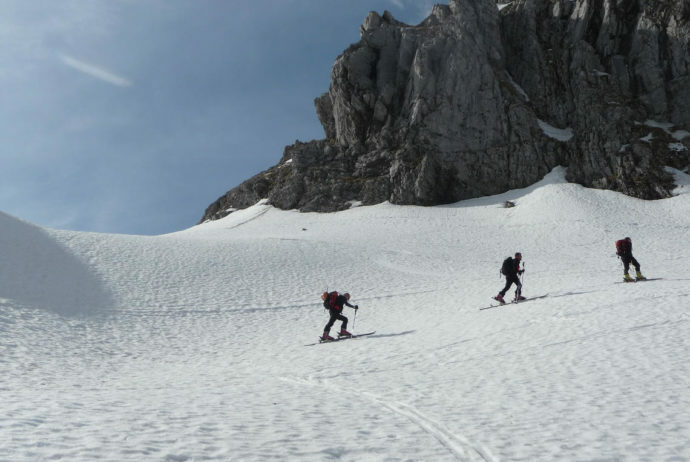 Pania Croce peak ski touring, the most famous and frequented of Apuane Alps, including the descent of Inferno dale and Borra di Canala. The Pania della Croce peak for its attractive majesty is considered the most representative Apuane Alps summit, although it’s only the fourth in altitude. 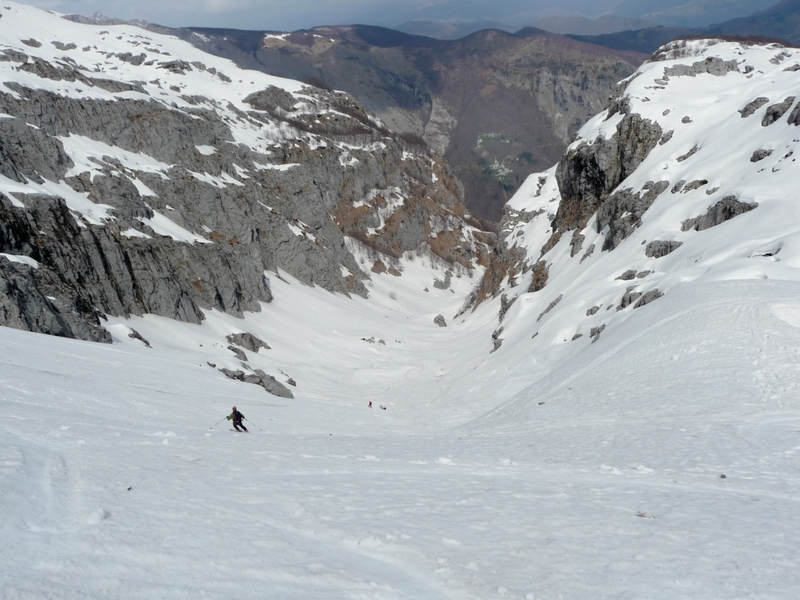 For this reason it’s very popular in winter too, when it can be dangerous (like the majority of Apuane Alps), because of snow condition variability and the possibility to find ice. 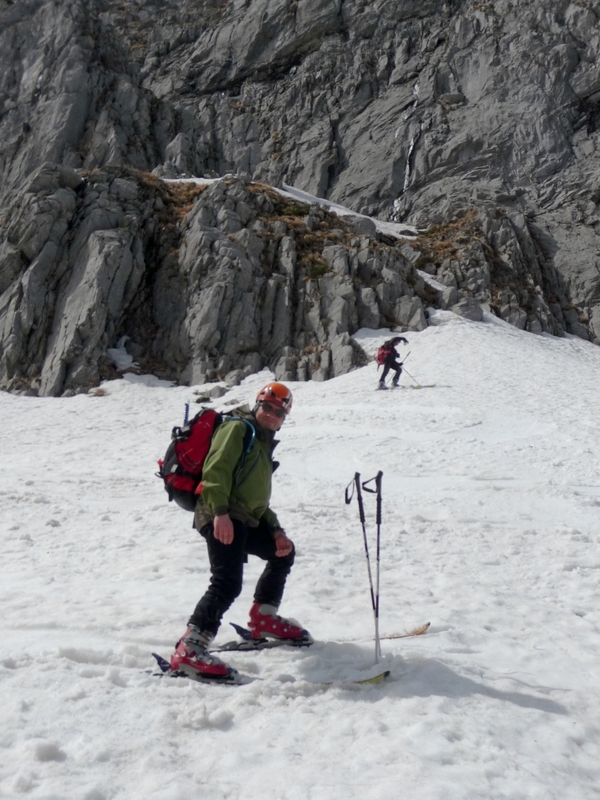 As I wrote in the Tambura post, suitable conditions for this ski tour are rare and the opportunity to go downhill through the whole Borra Canala is even more unfrequent, because it needs snow coverage at low altitude (about 1100m). This is what happened in the 2008/09 winter, wich was characterized from plentiful snowfalls that lasted for the whole season; as you can notice Rossi alpine hut was almost covered by snow at the beginning of April (4th, April): an exceptional phenomenon in that season (at least in the last years). We parked our cars at Piglionico close to the little war chapel. 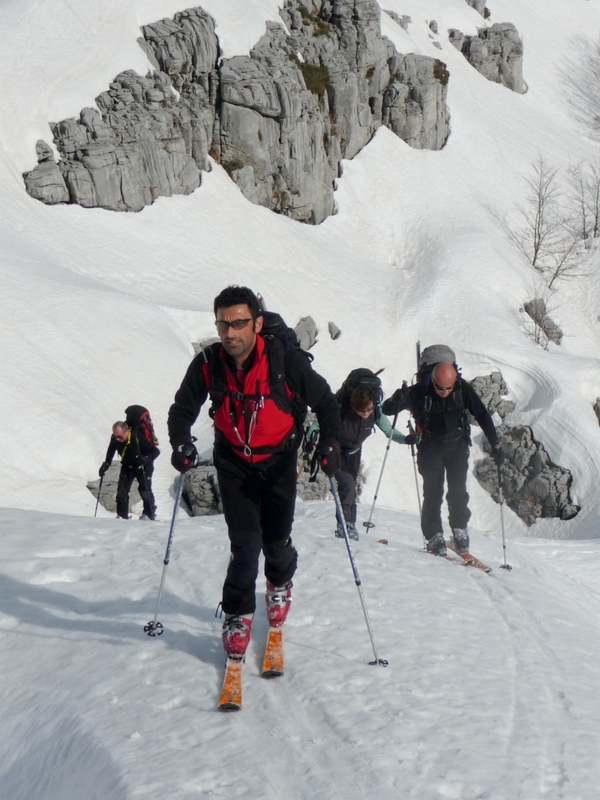 Following Italian Alpine Club (CAI) Nr.7 path, we carried our ski for only 10min. 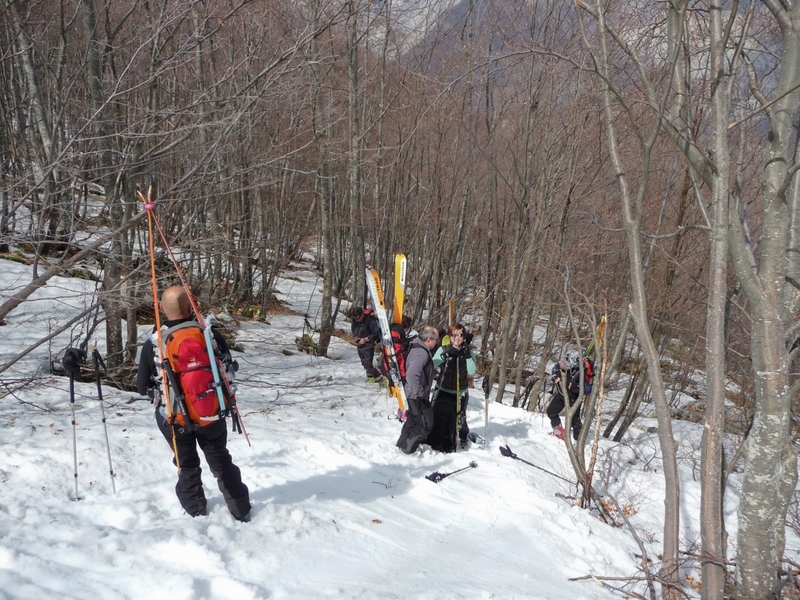 With our ski set up, we kept climbing, until we left the marked path to go through a suggestive area named “Vetricia” where there are several dolines. 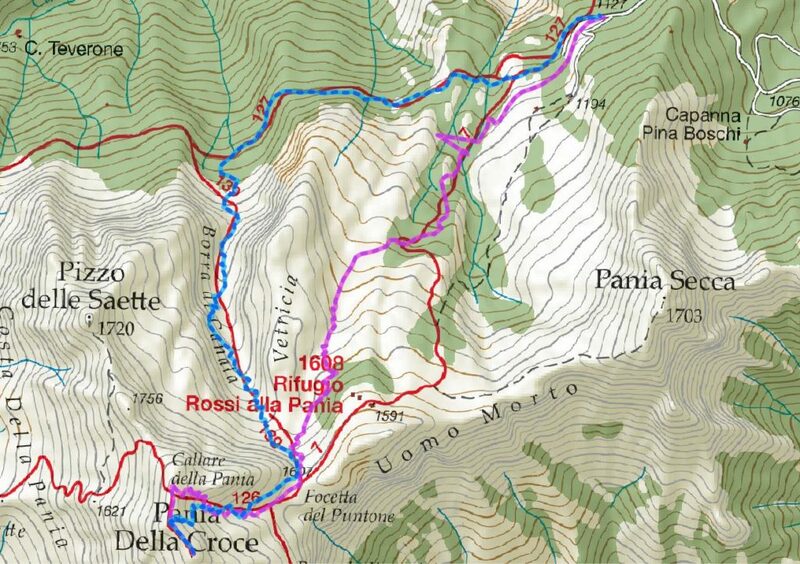 Then we got to the upper end of Borra Canala and after a while to the Puntone saddle (Foce del Puntone) (1607m), not passing through Rossi alpine hut, which is the usual itinerary. We climbed Inferno dale (vallone dell’Inferno) and got to the ridge then to the Pania della Croce summit (1858m), 2h50min. 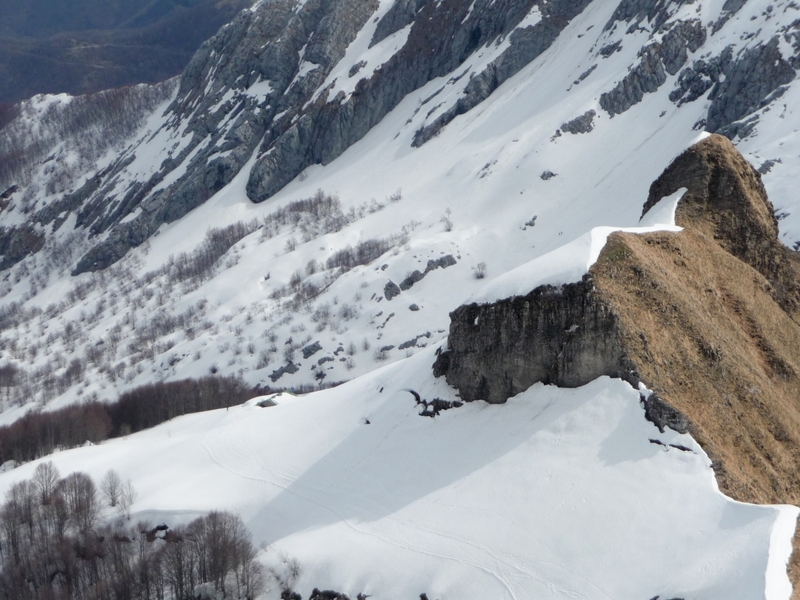 It has been a wonderful emotion to walk on the snow-covered ridge being able to look at the Versilia and the sea below us. Thanks to the perfect snow condition (transformed snow, firn) we went downhill starting almost from the summit (usually we start further down). 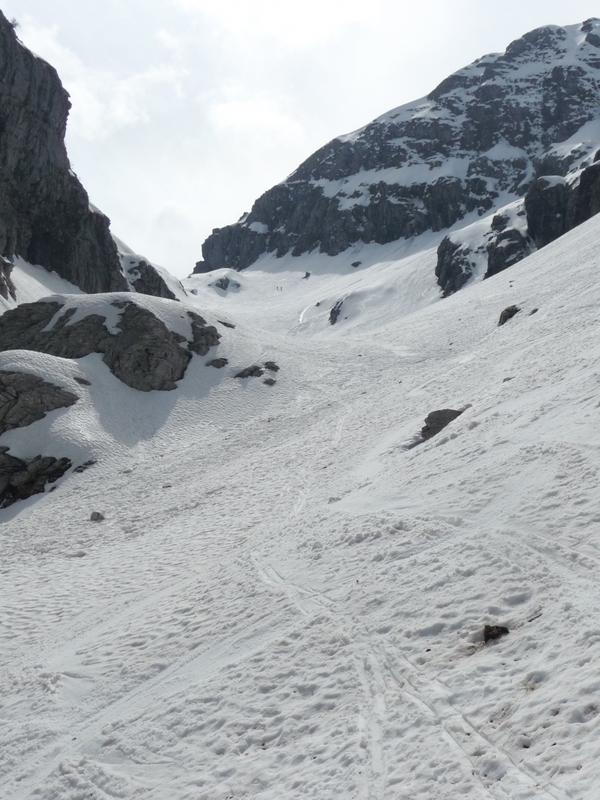 Marvellous descent that continued through the nice Borra Canala perfectly covered with snow up to woodland boundary (1120m). 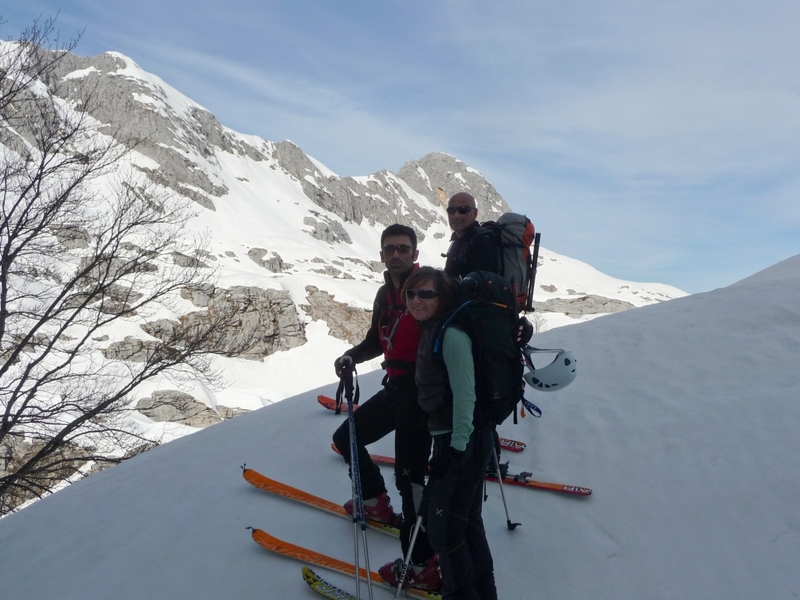 We put our ski on our backpacks then we followed CAI Nr.127 path that traverses and gets back to Piglionico. 1h55min (Tot. 4h05min).